(NaturalNews) It looks like the red state of Texas, once known for its fierce independence and as the guarantor of its citizens' freedom, is becoming something of a medical police state, having launched scores of investigations against licensed and non-licensed practitioners, many of whom are reporting being harassed by the Texas Medical Board (TMB). According to a press release from Texas Right to Know, a service designed to inform and connect people in the community regarding local and state issues that affect their basic necessities of life, the group is organizing the Texas Medical Freedom Initiative in response to the investigations. The group says Texas residents should know they have a right to seek complementary and alternative healthcare. The group says that many healthcare practitioners have complained that the state medical board is carrying out investigations and implementing sanctions against non-licensed health practitioners that are not warranted. These include NDs, CCNs and others. But the actions are also being taken against DOs, MDs and other traditionally licensed professionals who practice under Title 22, Part 9, Chapter 200 of the Texas Administrative Code: Standards for Physicians Practicing Complementary and Alternative Medicine, that was passed in 1997. The law says that the purpose of the chapter "is to recognize that physicians should be allowed a reasonable and responsible degree of latitude in the kinds of therapies they offer their patients." The statute also states that the medical board understands patients have the right to seek alternative and complementary forms of treatment. But Texas Right to Know says that the TMB should also recognize that residents in the state have a right to complementary and alternative therapies and treatments without their providers being hassled by regulators. That includes frivolous investigations that cost taxpayer dollars and boost the cost of healthcare generally, because practitioners are forced to raise prices to cover legal expenses. "I have been in contact with numerous physicians who have shared with me their unjust treatment by the Texas Medical Board (TMB) when their practices were under investigation," said Texas state Rep. Bill Zedler. "Wrongful actions of the TMB include the violation of the physician's right to know their accuser, their right to due process and their patients' 4th amendment right to privacy." Texas Right to Know noted that a court ruling from the 24th District Court, State of Texas v. Courtney Ricardo Morgan, is clearly a reprimand to the state medical board for their "bad faith actions" in launching these investigations. In part, the ruling states that the court found that the TMB "acted in bad faith" when it joined with law enforcement to conduct a search of the defendant's business. The court found that the board's "interest in serving the subpoenas upon the defendant was not a legitimate pursuit of the administrative authority" the board has, but rather "an exercise to circumvent both the Texas and US Constitutions' requirement for a warrant." The court ruled in behalf of the defendant. 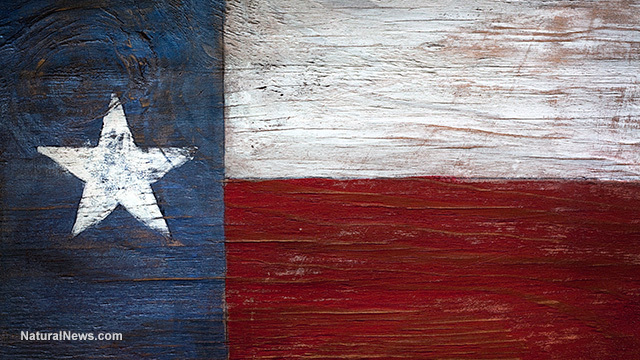 Texas Right to Know (TRTK), in response to the public's and healthcare practitioners' growing concerns about health and medical freedom in the state, will be organizing a new awareness campaign called "TMB, Don't Mess With Me," in a nod to the popular "Don't Mess with Texas" mantra. The group says anyone who is concerned about maintaining medical freedom should come to the Texas Capitol in Austin Dec. 9 for a rally and day of lobbying. TRTK said that every 10 to 15 years Texas bureaucracies are evaluated on their performance by the Texas Sunset Commission, and there is to be a meeting of that commission Dec. 9 at 9:00 a.m. in room E1.030 at the Capitol. A rally on the Capitol's south steps is set for 2:30 p.m., TRTK said in its press release.